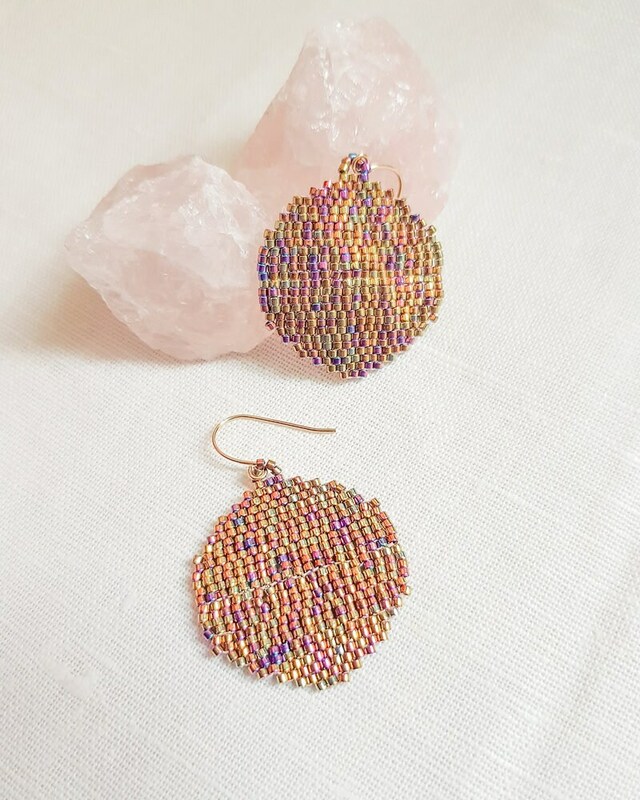 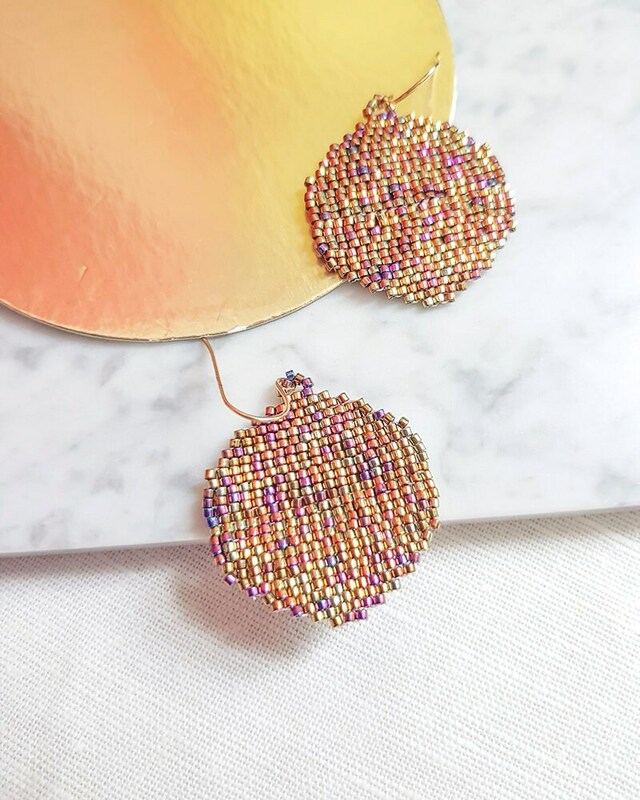 Simple, bold and modern gold circle earrings that are reminiscent of the powerful Golden Sun or the hypnotic Golden Full Moon. 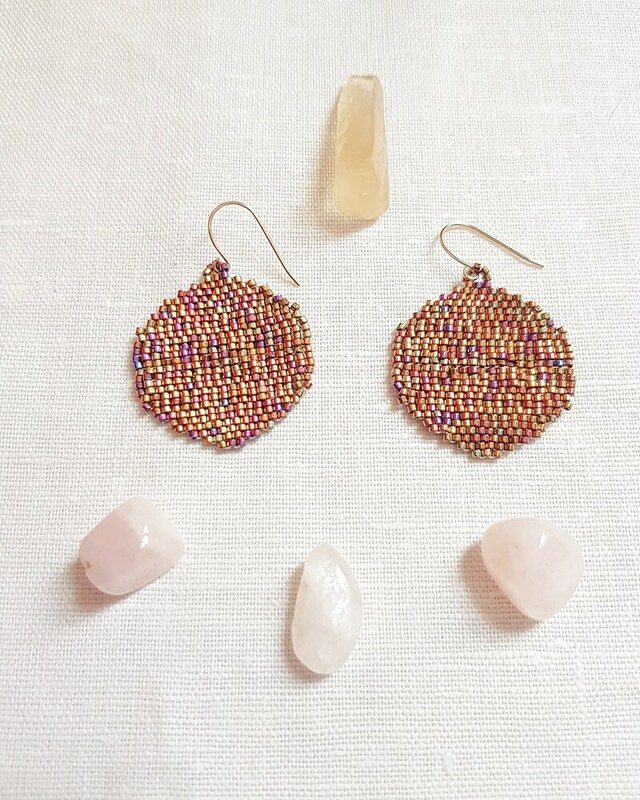 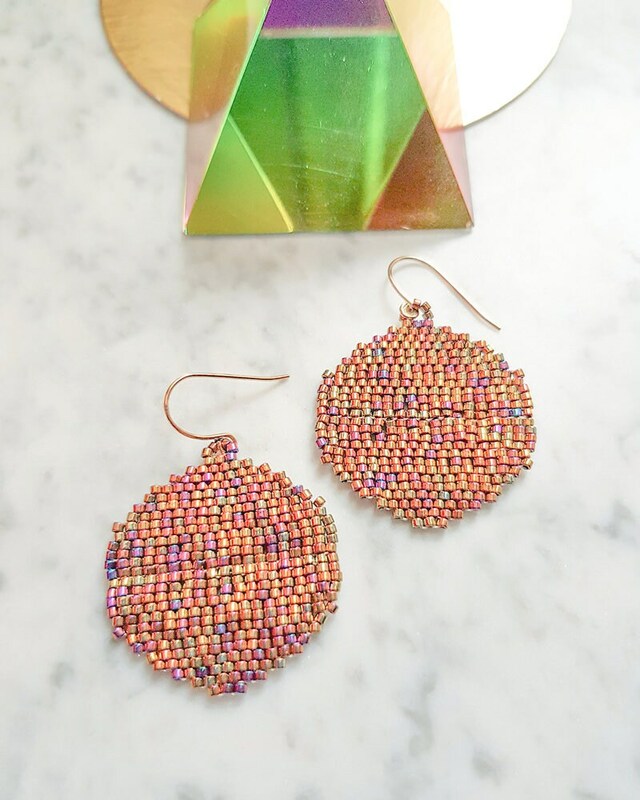 Your perception is entirely up to you, this pair of beaded dangles will work its charm stylishly into your OOTD. 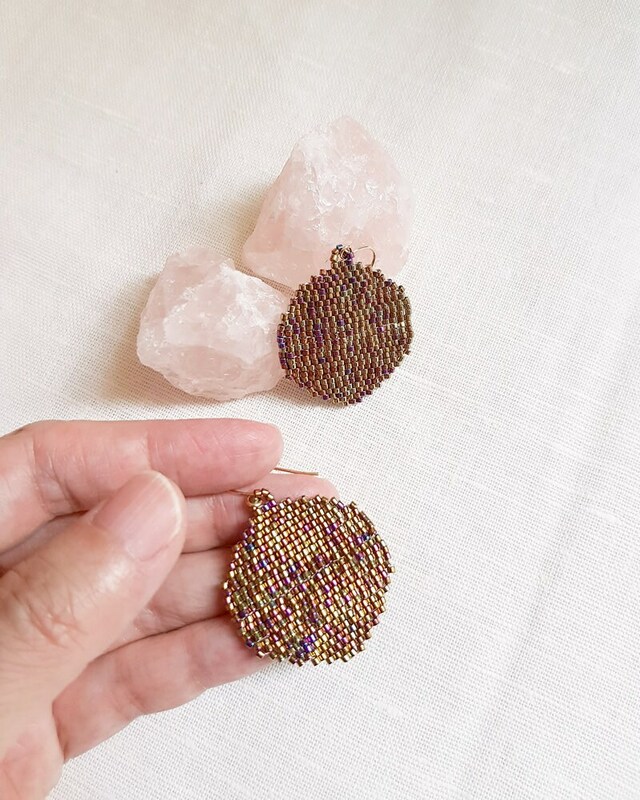 Her size is of balanced statement and can be easily accessorized from day, office, casual to night events.